From the most intimate events to the most lavish functions all year round! 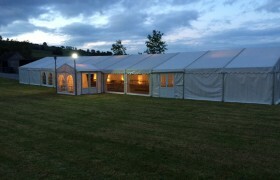 Now that you’ve arrived at our site, please can we start by welcoming you to Shropshire Marquees. Our aim is to guide you through the different stages of organising your event. 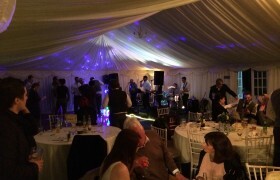 From choosing the right size marquee to hire, or if you just want our advice on what equipment hire is available to suit your marquee décor. We are here to help, to ensure your wedding, party or corporate event goes as smoothly as possible. 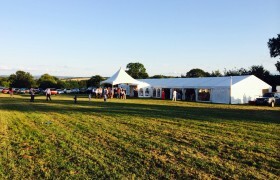 As you browse, you will see that our marquees have given us the opportunity to meet some lovely people and have taken us to some beautiful spots in and around, Much Wenlock, Bridgnorth, Shrewsbury, Ludlow, Oswestry and many more. At Shropshire Marquees we pride ourselves on being recognised for a personal and friendly service, and offer competitive and honest rates. We find the majority of our enquiries have contacted us through recommendation, or have used us before. We can also recommend venues if you have no site; Brompton Farmhouse, Blists Hill Museum, Ironbridge. Ye Old Crossgates, Shrewsbury. Pengwern Boatclub, Shrewsbury, are a few we have worked with. Whatever your occasion, no matter how big or small, we will work with you to build the foundations for an event to remember! Many thanks and enjoy the site! From 50 guests to 350, begin to imagine what's possible. Think bold, be bold and create your own unique and perfect party. Impressive and surprising events that definitely aren't run of the mill. Site preparation has paid off here. Some of this years events. Shropshire Marquees - helping to create lifelong memories.